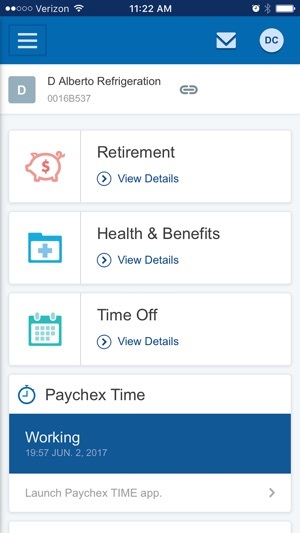 The Paychex Flex app can be used by previously registered Paychex Flex (paychexflex.com) users. 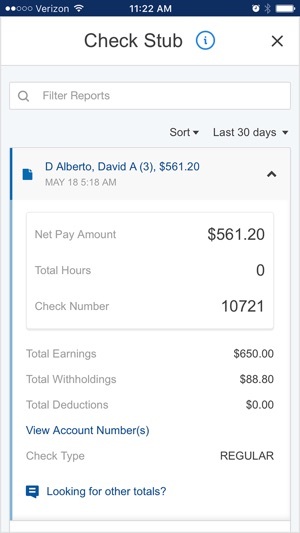 Paychex Flex keeps employers and employees connected to the most vital payroll and benefits features. Available features will vary and are dependent upon your company's plan options. - Enter, review, and submit on the go. 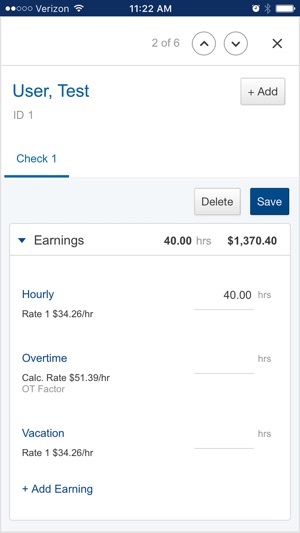 - Resume payrolls started on your tablet or desktop. 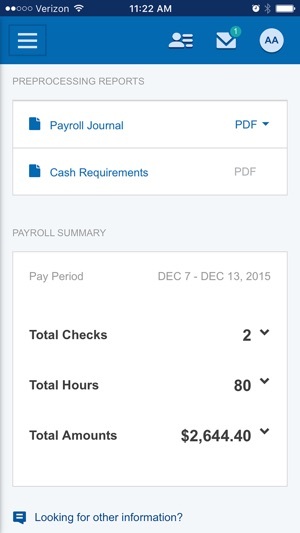 - All reports, including payroll reports and cash requirements. - Employee check stubs and tax documents. - Employee profiles, compensation, taxes, deductions, and time-off balances. - Retirement plan balances, participation rates, and employee eligibility. - Health and benefits carrier information and member guides. - Health and benefits employee enrollment and election information. - Check stubs and W2s. - Retirement balances, contributions, returns, and loans. 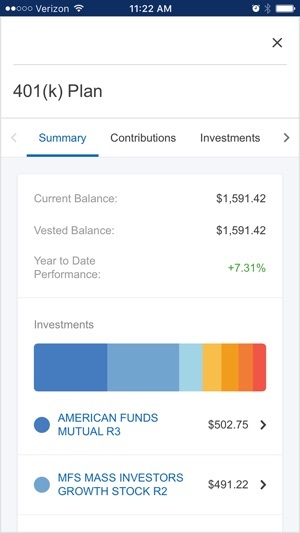 - Update retirement contributions and investments. - Profile, compensation, taxes, deductions, and time-off balances. - Health, dental, and life insurance benefit details, deductions, and contact information. - FSA contributions, balances, claim, and reimbursement activity. -Administrators can now approve employee direct deposit changes before they take effect. -Agency and Vendor maintenance is now available from Company Settings. -Ability to switch to your personal account (My Account) has been moved to the user menu for improved navigation. I couldn’t tell you how many times I’ve needed paycheck stubs and had it become a headache....not to mention, I never wanted to switch to direct deposit (bc I like being able to see exactly how each check is broken down) and as result I had check stubs all over my car and in my house yet could never find the most recent 4 or whatever it was that I needed. (Enter headache) This app has made this small but sometimes important part of life so easy. Not only is it so easy to navigate, it’s easier than I ever would have imagined to view, email, print, etc PDF’s of any or all stubs dating back to the beginning of your employment. It also makes it super easy to see your direct deposit info 1-2 days before “pay day.” I wouldn’t delete this app for anything. If your employer uses this system, at the most you’ll be able view your paystubs. The non user friendly UI is very confusing to navigate, and seems to host different applications within itself that don’t work on the majority of systems. If you need to see your schedule for work so that you actually show up and get paid and don’t get fired, you are unable to, because that app inside this that employers use for scheduling only seems to work on desktop computers running google chrome. Not even in the proprietary app that I’m reviewing, which Paychex created, or at least is putting their name on. This isn’t mentioned anywhere, so you have to figure it out yourself apparently. Combine that with the stringent password requirements and the never ending mandatory text confirmations to access the app, it’s pretty pointless, and has cheated me out of money I should have earned. Retail clerk, cashier & stocker. User friendly APP but I think the option that displays the day & time & the hours we had accumulated of the pay period/check in PDF format should be available for employees to see without request from the administrator. Employees need to see if any discrepancies or variances need be addressed from missed clock punches or oversights. This is personal record & having this option allows for review as a bank statement, credit card statement or receipt would for any financial transactions or exchanges where money is involved. This is a business industry standard to see what is being charged, debited or in this case, credited by payroll as a paper-trail of any edits to show good accountability and proper bookkeeping practices that can be in question if a employee has to refer to at later date.